Green roofs have been growing in popularity in the U.S. because of their many environmental advantages. SIUE engineers and scientists are evaluating the environmental benefits of green roof technology and the performance of various green roof materials and techniques. The research, which is part of the University's Green Roof Environmental Evaluation Network (GREEN), is taking place on top of the School of Engineering Building, as well as at a ground-level field site. 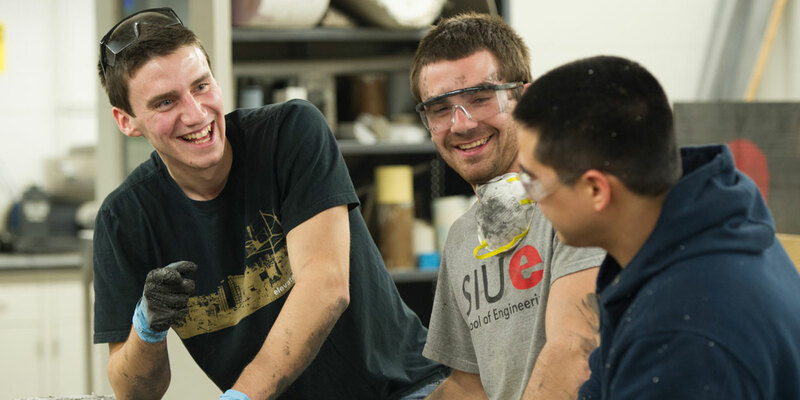 Research conducted by SIUE students and faculty has the potential to influence green technology and future environmental trends. GREEN is a collaborative initiative lead by the School of Engineering, the Environmental Sciences Program and the Department of Environmental Sciences. The effort involves local St. Louis companies Green Roof Blocks and Jost Greenhouses and other environmental industry leaders and universities. Susan Morgan, civil engineering professor and chair of that department, works closely with students to study the quantity and quality of the storm water runoff. "While there is the potential for green roofs to add pollutants from the growth media and fertilizer, our data so far shows little contamination," she said. "There is, however, a significant reduction in the amount of runoff from green roofs compared to traditional roofs." Serdar Celik, SIUE assistant professor of mechanical engineering, studies the thermal benefits of having a green roof. "The green roof acts as insulation," he said. "By having a green roof, the plants promote less building heat gain in summer and less building heat loss in winter." Celik is quantifying the R-values, or thermal resistance, of different growth media-vegetation-fertilizer combinations. According to Bill Retzlaff, associate professor of biological sciences and chair of that department, a green roof on the SIUE Engineering Building lowers the roof temperature in the summertime as much as 70 degrees. "The cost savings from green roofs can be significant," Retzlaff said. "The city of Toronto, Canada, has estimated that they could reduce annual heating and cooling costs by $1 billion if six percent of the rooftops were green roofs."